Edwardian 3m x 3.5m Conservatory On Dwarf Walls- Best Price Online! Edwardian 3m x 4.5m Conservatory On Dwarf Walls - Best Price Online! Edwardian 3.5m x 3m Conservatory On Dwarf Walls - Best Price Online! Edwardian 3.5m x 3.5m Conservatory On Dwarf Walls - Best Price Online! Edwardian Conservatory On Dwarf Walls Buy direct from a conservatory manufacturer, French doors as standard or upgrade to a set of sliding patio doors or Modlok Bi-fold doors. Edwardian conservatory to go on 600mm dwarf walls. Panel height to bottom of eaves beam at front 2100mm as standard. C..
Edwardian 3.5m x 4m Conservatory On Dwarf Walls - Best Price Online! Edwardian 3.5m x 4.5m Conservatory On Dwarf Walls - Best Price Online! 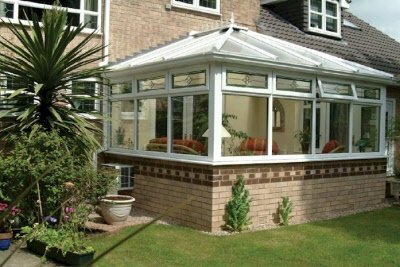 Edwardian Up To 4m x 3m Conservatory On Dwarf Walls - Best Price Online! ↵ Edwardian Conservatory On Dwarf Walls Buy direct from a conservatory manufacturer, French doors as standard or upgrade to a set of sliding patio doors or Modlok Bi-fold doors. Edwardian conservatory to go on 600mm dwarf walls. Panel height to bottom of eaves beam a..
Edwardian Up To 4m x 3.5m Conservatory On Dwarf Walls - Best Price Online! Edwardian Up To 4m x 4m Conservatory On Dwarf Walls - Best Price Online! Edwardian Up To 4m x 4.5m Conservatory On Dwarf Walls - Best Price Online! Edwardian Up To 5m x 5m Conservatory On Dwarf Walls - Best Price Online! Edwardian Up To 4.5m x 3m Conservatory On Dwarf Walls - Best Price Online! Edwardian Up To 4.5m x 3.5m Conservatory On Dwarf Walls - Best Price Online! Edwardian Up To 4.5m x 4m Conservatory On Dwarf Walls - Best Price Online! Edwardian Up To 5m x 3.5m Conservatory On Dwarf Walls - Best Price Online! Edwardian Up To 5m x 4m Conservatory On Dwarf Walls - Best Price Online!